"My Introduction to Asian/Asian American Studies class [AAA 201] opened my eyes to a completely different perspective of American life and history, and it gave purpose to my writing and made me decide to declare Asian/Asian American Studies (AAA) as my minor." 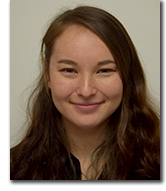 Read what students had to say about Asian/Asian American Studies at Miami. Asian/Asian American Studies (AAA) is an interdisciplinary minor in the Department of Global and Intercultural Studies in the College of Arts and Science at Miami University and is open to all undergraduate students.